Dog harnesses are great for small dogs, whether they pull or not. They can be a more comfortable option that gives you more control over your dog. There are many reasons to choose a dog harness but you want to make sure you get the best dog harness for small dogs. Read on to learn why a dog harness might be the perfect option for your small dog. You’ll also learn how to use them and find our top picks. Gentle. Some small breeds of dogs are more delicate and easily injured. A harness takes pressure away from the neck and distributes it across the whole body so that it is not to intensely concentrated at any one point. Leash-Training. A dog that pulls can cause themselves serious neck injuries if they are aggressively pulling on the leash. This is especially true of small dogs. So while training, a harness can be a great way to prevent injuries (especially a no-pull dog harness). No tangling. Whether they pull or not, a leash can easily get tangled around your dog’s legs. With smaller dogs, this is a frequent problem since there are so much leash and so little dog. 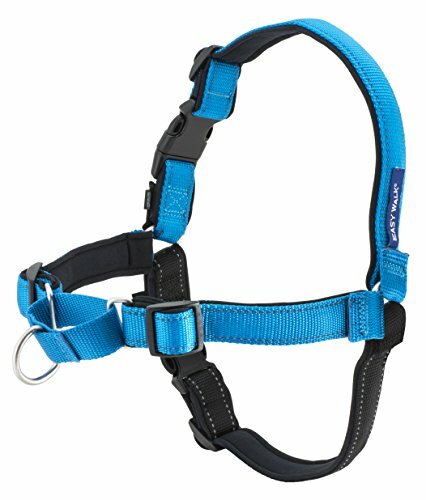 A harness positions the leash in a better spot and prevents it from wrapping around the legs. Security. Any dog that doesn’t like wearing a collar will try to slip it off of his head. A small dog can do this much more easily since their heads are also smaller. A harness is not so easy to get out of so you can be sure your dog won’t slip out and run off. When you first get a dog harness, it may look like a complicated contraption. But it’s actually really simple to use once you know how to do it. Just follow these quick and easy steps. Unbuckle and lay the harness on the ground. Get your dog to stand over it. Place one front paw in each loop. Pull it up and strap the buckle(s) together on your dog’s back. Slip the neck piece over your dog’s head. Pull the straps on the bottom down below your dog’s belly. Then pull the top straps over his back. 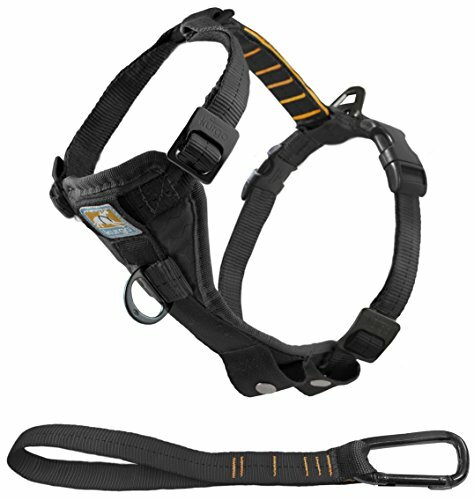 These are the two main kinds of harnesses that you will see on the market. Both can be equally effective, it’s really just a matter of personal preference. Your dog might deal better with a step in harness than a pullover harness depending on his personality. 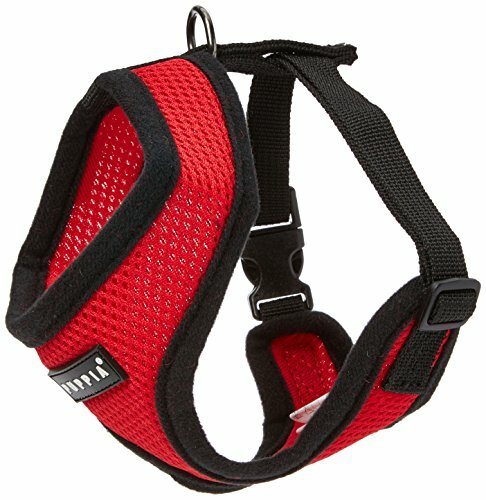 This harness is made for small dogs from 10 to 25 pounds. They also make an extra small harness for super small dogs. It’s a reasonable price at about $20 and has adjustable straps to make sure it’s the perfect fit. It’s super versatile, flexible, and comfortable so it’s great for a short walk or an all-day adventure. This harness is excellent for small dogs. It’s really soft while still providing a lot of support. Your dog will be very comfortable while you maintain control. Just make sure you check out the size guide closely to figure out which size harness will best fit your dog. If it’s too tight or too loose, it won’t be very comfortable or effective. A quality product for a little bit more money. It’s especially ideal for small dogs because it easily slips over your dog’s head and stays secure. Buy the one that’s closest to your dog’s size and use the adjustable straps to fine tune it and get the perfect snug fit. The chest and belly area are padded for added comfort. 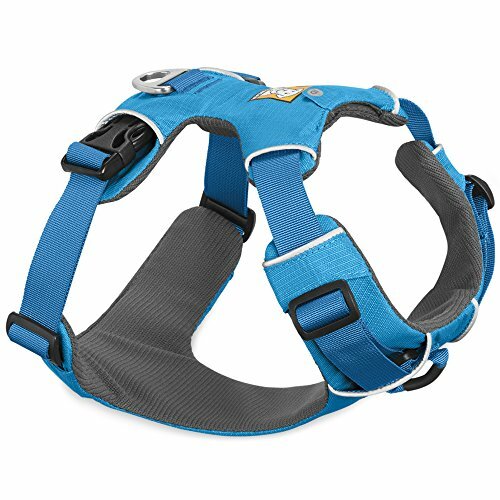 It’s perfect for hikes or long walks when your dog will have to wear it for longer periods. Features two leash attachment points. One on the chest for more control during training, and one on the back for walking. Designed to slip over your dog’s head and stay secure with side-release buckles. This is one of the best options for those on a budget. You can get really great quality without having to spend as much. It’s got a great design made from soft but durable nylon that helps stop your dog from pulling and lunging. And with adjustable straps, you can make sure it has the perfect fit for your little guy. Harnesses are the best option for small dogs. They are easy to put on, less likely to tangle, and less likely to cause injury to your dog’s fragile neck. Choosing the best leash for your small dog depends on just how small he is and how often you plan to use it. 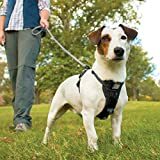 For example, for extended use, it’s best to spring for a high-quality harness such as the Ruffwear Harness with plenty of comfortable support. On the other hand, go for a more budget-friendly one if you just plan to use it for short walks or even a fashion accessory such as the Puppia Soft Dog harness with all the color options. Now, its time for a walk!